Tossing It Out Tossing It Out: #IWSG: Hallelujah! Get Inspired! Feeling insecure with your writing life? Or your life in general? Never fear for support is here! 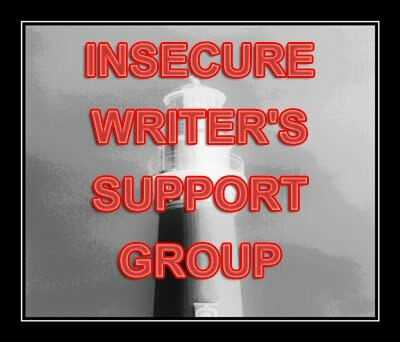 First Wednesday of the month means time to lean on the broad shoulders of the Insecure Writers Support Group founded by our dear blogging buddy Alex J. Cavanaugh. Be sure to stop over to the IWSG site for the list of participants and sign up to the list if you would like to join in with your own post. 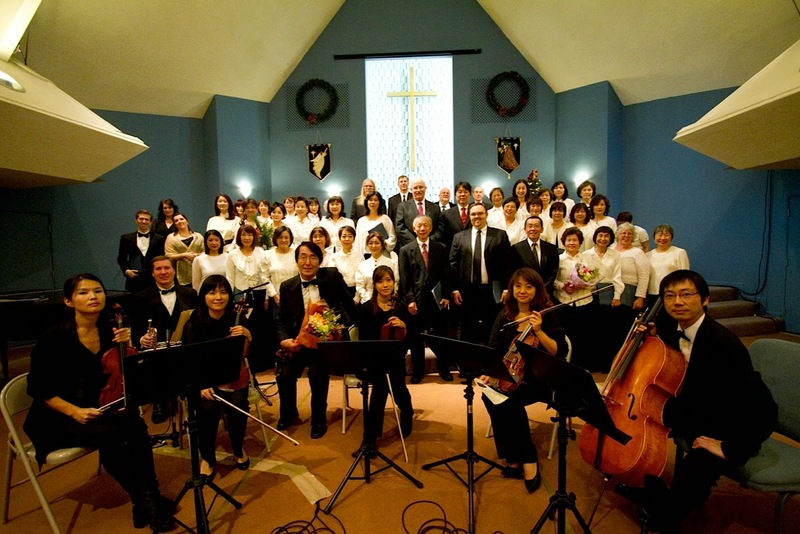 2013 L.A. Oratorio Chorus and Orchestra (I'm in the center of the second row of vocalists--one of the few non-Asians in the group). There was a time when you couldn't get me to sing outside of my own locked bedroom or the shower. I totally lacked confidence when it came to singing. I was embarrassed. Afraid. Insecure about my singing voice? Yes, completely so. Three years ago on this blog I told the story in a post called "The Boy Who Refused to Sing". Now look at me, front and center of the bass section, performing excerpts of Handel's Messiah for the second year. No longer insecure because I discovered my voice. Not that I have a great voice, but I apparently do okay. Upon asking someone afterwards if they could hear me singing, they said that they could not, which is a good thing in a choir as voices are supposed to blend with the others and not stand out. Our director said that I had done a good job. That boosted my confidence so that I might continue to sing in other events should they come my way. What it comes down to is just jumping in and doing something. Wanting to do it and working at it to do it right. The more we practiced, the more secure I was with singing the pieces we were slated to perform. It's like writing. Practice makes us better and working at it makes us more secure. Getting inspired is important as well. The music of a work like The Messiah is so exhilarating and uplifting that it carries the singer to another level. I wanted to raise my voice with others in glorification and praise. Immersion in masterful art might be the fuel that we often need to help us rise another notch above the mundane as we try to achieve perfection or some semblance thereof. When you feel insecure about your abilities, listen to a great work of music, gaze upon a artistic masterpiece, or read some well-written literature. Don't let that experience oppress you into believing you can never attain the levels that others have achieved, but instead let it fuel and fire your imagination to aspire to achieve your own level of greatness. Don't get tired, get inspired. You can do great things if you just believe in yourself. Encourage that belief by tapping into the great accomplishments of others. Strengthen your confidence by using the inspiration found in realizing what great things others have done. Even if you don't ever create a masterpiece that will live through the ages, you can at least strive to make each effort better than your last. Do you find writing inspiration in listening to any certain kinds of music? Does reading great literature sometimes make you feel discouraged about your own writing abilities? What provides you the most inspiration for writing? Great attitude! I'm not making masterpieces, but if others enjoy it and I do improve every time, then that's cool. This post did make me really happy Lee, it's just so inspirational like you set out to be, so good. You don't have to be amazing at something to try to be amazing at it! I would love to join a chorale group but I am too afraid to audition. I don't really have a good solo voice but I do OK singing along to songs. I can't read music either. Back in high school the chorus teacher put me in with the Altos but I felt the range was still too high for me, I wanted to be with the tenors but at that time there was only one female tenor in our class and he'd made a special exception for her. I do get satisfaction knowing that my writing improves with each project. I am only competing with myself. I love this post, Lee. So happy for you. Singing is joyous and brings others joy. When I first started singing a few years ago,I could only look down at my toes. If I saw anyone looking at me, I froze, I was so insecure. Now I don't care - I just go out there and have fun. Actually, I do care. I just can't control what comes out - I just do the best I can. Looking back at those who enjoyed my work inspires me to keep going. Can't miss you in that photo, Lee. You're the tallest one! Good for you... getting out of your comfort zone and discovering something new within yourself. It's something we should all do from time to time. It's keeps us on our toes, keeps us ALIVE! Wonderful post! Congratulations on finding your voice! I envy you. I feel halfway confident in my guitar playing to have no problem posting my music on my blog, but I'm too self-conscious to even sing in the shower. I have a good ear when listening to music and picking it up on my guitar, but seem to have no concept of pitch when it comes to my voice. Alex -- Our ultimate gauge of our work should be the standard we have set for ourselves. Yeamie -- We should aspire for the level of greatness in which we find the most satisfaction. JoJo -- For a group like ours no audition is necessary. They just want as many people who will commit to being there. Wendy -- Exactly--we can use the output of others to inspire us, but we shouldn't want to be them. Karen -- The best we can do is what we should want and then next time we can try for better than that. L.Diane -- It's nice to know we've added something positive to the world. Bish -- It's kind of what life--real life--is all about. Chris -- Join a choir. There's strength--and confidence--in numbers. Three tenors--that's funny. Music is my muse. I don't normally listen to classical or masterpieces, but I am definitely going to give it a try. Reading great literature makes me feel that I am not good enough. It also inspires me to write better and work harder at improving my writing. Messiah is a wonderful piece I enjoy every year at this time. So neat that you're a part of it two years in a row. Also, very good advice for all writers. It's really neat the way you tied in Messiah with this month's IWSG post. Good stuff here! Yes, I love hearing symphony music and live voices. You're looking good there, Lee. . . Your time is coming again, on December 9th!! Chrys -- To me classical is the ultimate in stirring emotionally and intellectually uplifting music. You should definitely try to gain an appreciation for it. Rachna --- Great literature should not defeat us, but it should compel us to write better. MJ-Thanks! Since The Messiah was my Battle of the Bands theme I wanted to continue with it here. DG-- Yes the time is coming. This is great advice, if I'm feeling bad about my writing I pick up my favourite books, and remember why I'm trying to write in the first place. They always inspire me to keep going. Oh, I stay tired, but that has more to do with my cat than anything else. He decided I needed to get up at 4:30 this morning. I'll be talking about masterpieces next week. Great positive attitude for this IWSG post. While I often find inspiration in reading the 'greats', I have read some real stinkers that also inspire me to keep going in a 'if they can get this carp published, I should be on the best seller list' sort of way. Interesting to find out that you are NOT Asian. Ha, ha, ha. No matter what keep singing. I usually feel inspired to try harder when I read good writing or a great story. I wish I could sing. My children are worse than me but that doesn't stop them from belting out some terribly off key songs. Good for you on stepping outside of your comfort zone to do something you love. To sing in a choir your voice doesn't have to be wonderful. If you can carry the tune... that is what counts. In fact, soloists often don't make great choir folk. They tend to sing to stand out, which is not the goal for a choir. I tend to read when I feel uninspired. That does seem to help. Laura -- Writers are always advised to read and I think it's important to read a goodly amount of quality material. Andrew -- I don't need a cat. I manage to get up at about 4 most mornings on my own. I think I stay on Eastern Time since I sleep later when I'm in other time zones. Faraways -- The "stinkers" can certainly upgrade my opinion of my own work, but I hate when I've wasted my time reading one of those. Susan GK-- Singing lessons? Practice might help. Great advice Lee. I am happy that I get far more inspired by reading great books then getting discouraged by them. Excellent post! Glad to hear that you're singing. To be able to be motivated by music, very envious. I love classical music but once I turn on the radio, I can't concentrate on my writing! Good for you, Lee! That is wonderful. Singing and music is so inspiring and soothing. Mandel's Messiah is a musical masterpiece. How amazing it must feel to be a part of such a true work of art. Robin -- Strength in numbers applies to a choir. Sydney -- If we get discouraged by reading great books then we are missing the point of reading. Shelly -- You might not be so glad if you heard me singing on my own. Carole -- If the music has words I have a difficult time concentrating, but classical music provides a soundtrack for me. Michael -- Performing the Messiah is so uplifting, so energizing. Hi Lee! I told you I would be by to visit! I am so sorry it took me a while to get back here. Thanks for visiting my site during the last IWSG. :) This was a great post and I'm glad I chose today to come. Today I did my first post since I started NaNoWriMo last month and didn't realize I wouldn't be able to blog because other things came up during the month as well, besides Thanksgiving! Thankfully, I made it and wanted to stop by and return the favor and say that I appreciated what you said on my blog when you came by. Again, I apologize for my late response. Lily. Hi Lee - I love your quote 'don't get tired: get inspired' .. and give things a go ..
Yay, another choral singer! :D Congrats for stepping out! Someone posted or tweet this a couple of weeks ago: "When you're ready to quit, remember why you started." Or something to that extent. Sometimes I do want to throw in the towel, but I remember that writing's all I've ever done confidently. when writing a story, inspiration especially helps to get u over the initial hump of the first few white pages! I really missed out this. Yes, I fully agree to this": Practice makes us better and working at it makes us more secure. for that matter even anything, singing or whatever. I am sure this piece will take out many of our fears! You said under the pic. "one of the few non-Asians in the group)." Hey who are these peopl- group? Cheers!!! THe Roast Time is up!! !